Barents Blue Metallic 2011 Volvo XC60 AWD with only 187576 miles offered by Volvo Cars Oklahoma City. CARFAX One-Owner. Panoramic Roof / Sunroof, Sunroof / Moonroof, Leather, Navigation / GPS, Power Liftgate / Trunk, Back Up Camera, Steering Wheel Controls, Bluetooth, AWD, 12 Volt Power Outlet In Cargo Area, 18" Merac Alloy Wheels, 4-Wheel Disc Brakes, ABS brakes, Administrative Option for Metallic/Premium Paint, Aluminum Decor Steering Wheel, AM/FM radio: SIRIUS, Anti-whiplash front head restraints, Cargo Area Grocery Bag Holder, Cargo Cover, Compass in Rear-View Mirror, Convenience Package, Dual front impact airbags, Dual front side impact airbags, Electric Folding Rear Headrests, Electronic Stability Control, Front & Rear Park Assist, Front anti-roll bar, Front dual zone A/C, Glossy Side Decor, Heated door mirrors, HomeLink Integrated Garage Door Opener, Illuminated entry, Integrated Navigation System, Laminated Panoramic Roof, Leather Seating Surfaces, Low tire pressure warning, Multimedia Package, Navigation System, Navigation System w/Real-Time Traffic, Occupant sensing airbag, Overhead airbag, Power Operated Tailgate, Power Passenger Seat, Premium Package, Rear anti-roll bar, Rear Park Assist, Rear Park Assist Camera, Remote keyless entry, Silver Accent Side Decor, Tinted Windows, Traction control, Volvo Premium Sound System w/Dolby Pro Logic II. 3.2 Priced below KBB Fair Purchase Price! We specialize in certified pre-owned and pre-owned vehicles. Please feel free to contact us with any questions (405) 272-1717. www.volvocarsokc.com While we make every effort to ensure the accuracy of vehicle information and pricing, absolute accuracy cannot be guaranteed. Information subject to change; for current information on this particular vehicle please contact our staff. 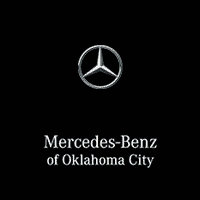 Awards: * 2011 KBB.com 10 Best Certified Pre-Owned Luxury Cars Under $30,000Barents Blue Metallic 2011 Volvo XC60 AWD with only 187576 miles offered by Volvo Cars Oklahoma City. CARFAX One-Owner. Panoramic Roof / Sunroof, Sunroof / Moonroof, Leather, Navigation / GPS, Power Liftgate / Trunk, Back Up Camera, Steering Wheel Controls, Bluetooth, AWD, 12 Volt Power Outlet In Cargo Area, 18" Merac Alloy Wheels, 4-Wheel Disc Brakes, ABS brakes, Administrative Option for Metallic/Premium Paint, Aluminum Decor Steering Wheel, AM/FM radio: SIRIUS, Anti-whiplash front head restraints, Cargo Area Grocery Bag Holder, Cargo Cover, Compass in Rear-View Mirror, Convenience Package, Dual front impact airbags, Dual front side impact airbags, Electric Folding Rear Headrests, Electronic Stability Control, Front & Rear Park Assist, Front anti-roll bar, Front dual zone A/C, Glossy Side Decor, Heated door mirrors, HomeLink Integrated Garage Door Opener, Illuminated entry, Integrated Navigation System, Laminated Panoramic Roof, Leather Seating Surfaces, Low tire pressure warning, Multimedia Package, Navigation System, Navigation System w/Real-Time Traffic, Occupant sensing airbag, Overhead airbag, Power Operated Tailgate, Power Passenger Seat, Premium Package, Rear anti-roll bar, Rear Park Assist, Rear Park Assist Camera, Remote keyless entry, Silver Accent Side Decor, Tinted Windows, Traction control, Volvo Premium Sound System w/Dolby Pro Logic II. 3.2 Priced below KBB Fair Purchase Price! We specialize in certified pre-owned and pre-owned vehicles. Please feel free to contact us with any questions (405) 272-1717. www.volvocarsokc.com While we make every effort to ensure the accuracy of vehicle information and pricing, absolute accuracy cannot be guaranteed. Information subject to change; for current information on this particular vehicle please contact our staff. Carbon Black Metallic 2013 GMC Terrain FWD with only 101362 miles offered by Volvo Cars Oklahoma City. CARFAX One-Owner. Sunroof / Moonroof, Leather, Heated Seats, Steering Wheel Controls, Bluetooth®, USB / AUX Port. SLT-2 Priced below KBB Fair Purchase Price! We specialize in certified pre-owned and pre-owned vehicles. Please feel free to contact us with any questions (405) 272-1717. www.volvocarsokc.com While we make every effort to ensure the accuracy of vehicle information and pricing, absolute accuracy cannot be guaranteed. Information subject to change; for current information on this particular vehicle please contact our staff. Awards: * 2013 IIHS Top Safety Pick Reviews: * If you're looking for something akin to a Ford Escape or Honda CR-V, but you don't like futuristic styling or 4-cylinder powertrains, the GMC Terrain for 2013 may very well be the answer. Its squared-off edges and flared wheel openings say "GMC Truck" loud and clear. Source: KBB.com * Premium look inside and out; quiet cabin with lots of storage bins; spacious and adjustable backseat; comfortable highway ride. Source: EdmundsCarbon Black Metallic 2013 GMC Terrain FWD with only 101362 miles offered by Volvo Cars Oklahoma City. CARFAX One-Owner. Sunroof / Moonroof, Leather, Heated Seats, Steering Wheel Controls, Bluetooth®, USB / AUX Port. SLT-2 Priced below KBB Fair Purchase Price!